Well, well, well... what do we have here? Kate Upton is covering another magazine. No surprise there, really. However, what is a surprise is the fact that said magazine is Golf Digest. No, you aren't reading that incorrectly. 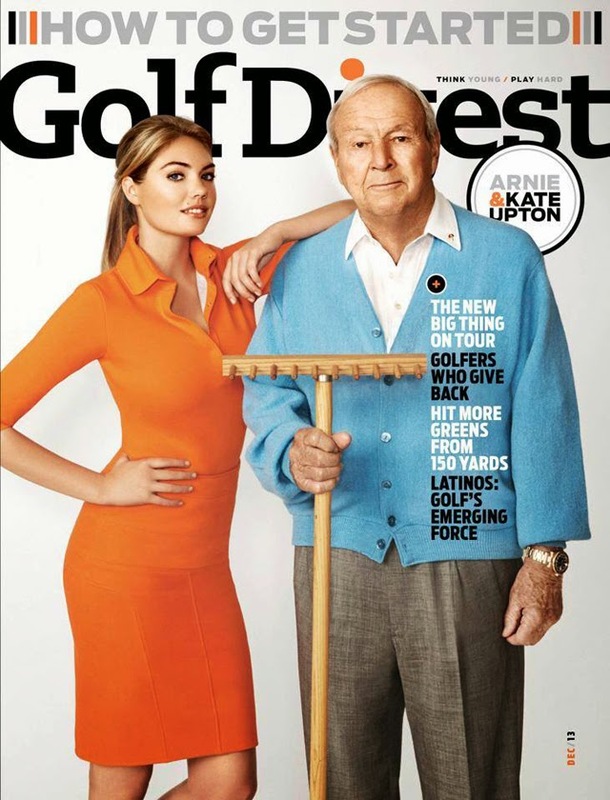 Kate Upton covers Golf Digest December 2013, no joke. The model stands beside golf legend Arnold Palmer. Now if you had asked us four years ago what we thought the last thing we'd ever feature on FFG would be... it would be Golf Digest. Well wonders never cease!